Cotton is an important economic crop. It has been planted in large areas in Xinjiang, Hebei, Hubei and other provinces (autonomous regions). Cottonseed oil is 15% to 25%, and linoleic acid content in cottonseed oil is 55% to 60%. It is a kind of oil with high linoleic acid content. Cottonseed oil can't be eaten directly, and it must be refined to meet the national standards before it can be used for catering, medicine and other aspects. Cottonseed oil is complex in composition and generally contains 2% to 3% phospholipids. The free gossypol content is 0. Between 2% and 3%. The extraction of cottonseed oil requires a cottonseed oil machine, and the introduction of the microwave drying machinery series has provided great convenience for the extraction of cottonseed oil. Phospholipids easily adsorb white soil, reduce the decolorization effect of white clay, and the residual phospholipids in oil and fat can easily make the finished oil color. In order to ensure the quality of the product and the decolorization effect of the white clay, the gum in the grease must be removed before the bleaching of the clay. Cottonseed oil alkali refining removes free fatty acids on the one hand and removes gossypol from cottonseed oil on the other hand. Gossypol is a polyphenolic hydroxy compound that is acidic and can react with a base to form a salt, which is adsorbed by alkali-smelting and partially eluted with water. The decolorization process mainly relies on the decolorizing agent (white earth, activated carbon or a mixture of a certain proportion of the two) to adsorb and remove the coloring substances such as chlorophyll, carotene and gossypol in the cottonseed oil, and achieve the purpose of decolorization of the cottonseed oil. Although cottonseed mixed oil refining technology has been applied in some companies in China, it can greatly improve the quality of finished cottonseed oil. However, mixed oil refining technology needs to be equipped with safety protection system to monitor equipment operation. In China, cottonseed oil refining is mainly conventional chemical refining. . Considering the key influencing factors of various refining processes of cottonseed oil, especially the comprehensive effect of alkali decolorization and white soil decolorization, the best refining process conditions of cottonseed oil are finally explored. Through experiments, the optimal process parameters of cottonseed oil refining were obtained. When pretreatment of cottonseed oil, add 0. 02% (oil quality) of phosphoric acid removes the colloid in cottonseed oil and reduces the loss of clay adsorption. 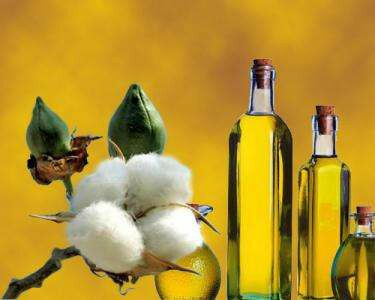 In considering the effect of alkali refining on the color and refining yield of cottonseed oil, a reasonable amount of super alkali is selected. In this experiment, the amount of super alkali is 1. 0% alkali refining to obtain alkali refining oil, and then dewatering oil obtained by washing with water and drying, then adding 2% (accumulating oil quality) of white clay for two consecutive decolorization, the refining yield of cottonseed oil is 89. 4%, the finished cottonseed oil color reached the GB 1537-2003 first grade cottonseed oil standard.